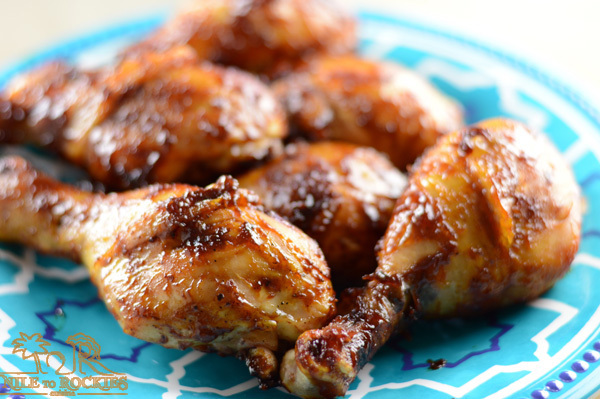 Luscious and tender recipe for BBQ chicken made right in the oven of your own kitchen.One of the easiest bbq chicken recipes that ever existed and guess what?, it only requires a handful of ingredients that is probably there in your kitchen. 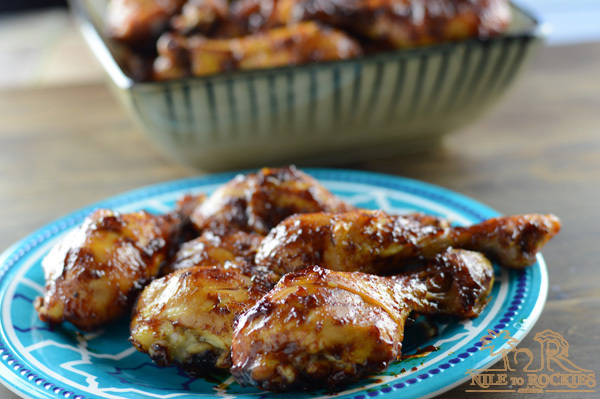 This recipe will give you a nicely glazed, sticky, and tender oven baked bbq chicken that is perfect for anytime of the year. This is a no no in the Middle Eastern kitchen, we always feel the need to wash the chicken very carefully with kosher salt then flour and may be an optional step of vinegar, then marinate the chicken for some time. This is what our grandmothers and our mothers did , so here we are following their steps. I am trying to get rid of this habit so wish me luck. I certainly do not need the excess sugar  , barbeque sauce have enough already, it might enhance the flavor but it was nothing that I cannot live without, I’ve used the barbeque sauce as is, I did not add anything to it and I did not cook it to thicken on the stove top like she did. So I just came up with this super simple marinade of olive oil, garlic, lime juice, salt and pepper, easy right? 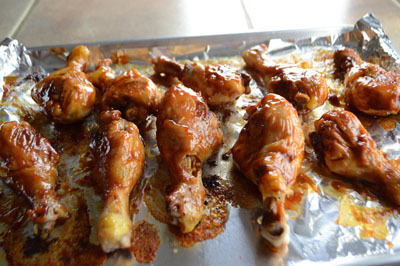 the rest is even easier, which is just coating the chicken with barbeque sauce. I also adjusted the cooking time and temperature, I have a husband who freaks out from the sight of any undercooked meat so I did what I usually do, I cooked the chicken on 350F for an hour for a luscious and tender chicken legs, then up the temperature to 425F for the finishing steps. This way I got a crispy and sticky skin while the meat falls right off the bones with your first bite and is super juicy! 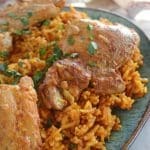 I’ve tested this recipe twice during Ramadan with more than 30 people each time, and it was the first thing to disappear from the iftar table. To my surprise, my kids who hate the barbeque sauce, loved it!! all three of them took seconds and they were sad it was gone so quickly, I was like…. REALLY!! Second time I made this, I lined the pan with heavy duty foil, what a timesaver! I highly recommend it as it also saved me a lot of effort scrubbing and cleaning the pan afterwards. Next time I will also try making my own barbecue sauce as I suspect it will be more delish. 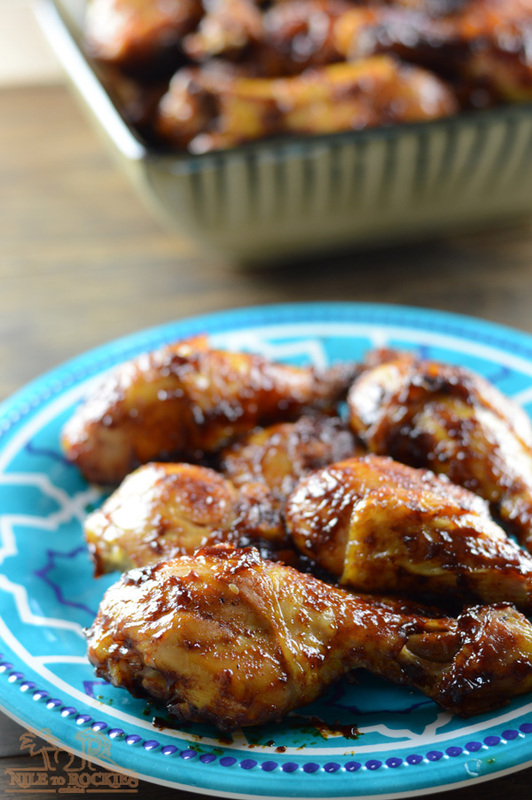 I hope you’ll like this simple BBQ chicken recipe and I hope you’ll try it out… Enjoy!!. 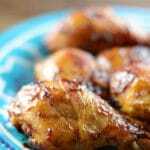 10 chicken drumsticks/thighs – bone in skin on. 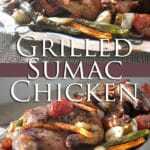 Barbeque sauce homemade or store bought. I’ve used almost 16oz bottle. In a bowl, add the garlic, olive oil, lime juice, salt and pepper and mix well to combine. 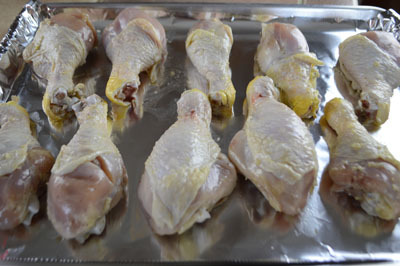 Clean the chicken thoroughly, cut a slit in each one and place in the bowl. Coat the chicken on all sides and marinate for a couple of hours or more. Place the chicken skin side down on a rimmed baking sheet, lined with foil and preferably brushed with some olive oil as well. Bake for almost an hour. Remove chicken from oven and up the heat to 425F. Coat the top side of the chicken with bbq sauce then flip the chicken to the other side, and coat the other side as well. Place back in the oven for 7 minutes. 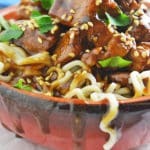 Repeat the above step for 3 or 4 more times or until chicken is crispy, sauce is dark and thick, and it’s fully cooked. This has been a favorite for my kids, I make this like twice a month already. I sometimes add peach jam to the bbq sauce as it gives it a nice flavor, also spiced it up a little with hot sauce. Delicious everytime. 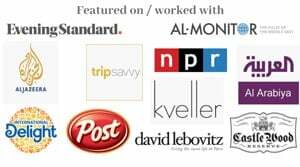 This is great James, my kids love it too. As always sounds good and easy! Would also love to try to make my own BBQ sauce. 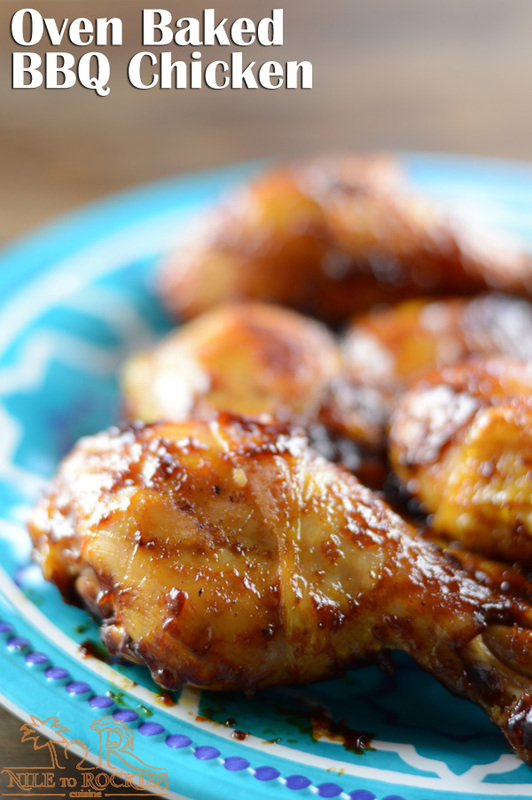 Chicken is delicious and perfect for a sunday diner. Hope you all had a lovely Ramdan and Happy Eid Amira.